The difference between real strength training and ego training. What most people do is ego training which comes with many negative side effects. In the video, the first clip is from the movie Troy and it almost perfectly captures the difference between the real thing and what can be considered the ego. Achilles has been called out to fight Boagrius who is probably the scariest and biggest warrior out there. He is covered in scars, he is tall and he is massively muscular like a bodybuilder. The first thing Boagrius does is underestimate Achilles by giving him a condescending look. Just right before the fight starts, Boagrius calls for lots of noise and confirmation from the audience to pump himself up and to further feel good about his ability. How about Achilles? He is calm and collected. He doesn't need noise to validate his skill because he knows how good he is. He is silent and only fights because he likes it and he is asked for help. When the fight starts, Achilles easily evades and dodges Boagrius' spears and quickly finishes Boagrius before Boagrius even gets a chance to land his first strike. Achille has true confidence. He doesn't need validation or confirmation from others to feel good about himself. Boagrius was mentally weaker and this insecurity also created his physique and fighting ability because the person's physical ability is largely the result of his or her training approach. Boagrius was strong and big but slow. Likely not very skilled either because he had mostly relied on intimidation and raw strength. This is not about judging people who are naturally big and muscular - there is nothing wrong with this. This about insecurity, ego and how it all impacts your approach to training. Achilles, on the other hand, wasn't the strongest or the fastest fighter. He probably wasn't the most skilled either. The reason why Achilles was the best, was because he was the most well-rounded with the least amount of holes in his game. His heel was literally his only weakness and this is obviously not a bad thing (you can't be perfect but you should strive for perfection). Achilles represents the highest ideal - the ultimate athletic ideal for everyone to reach for. A physique that is well-rounded, capable, healthy and has a great posture. Surprisingly, we are not entirely against ego lifting (or ego training). In fact, it's good to occasionally test yourself and show off to yourself and others. It's good to know where you are standing in relation to others. It feels exciting to do amazing things because it just feels good and it gets the admiration of the crowd. What we are fully against is the training that mostly consists of ego training. The reason is that this style of training doesn't work very well in the long term and will not even produce the best results. What we are talking about is the style of training that springs from lack of confidence and is only about the short term results. These people are always attracted to the magic pills and gimmicks because they want the results NOW. Unfortunately, in health & fitness there are no such things as immediate results. You can make good results in a couple of weeks but real lasting improvements happen over the timespan of months and years. The level of mastery takes decades. Any tool works and is good as long as it is used right. One of the big problems of ego training is that you are always sacrificing the future for the short term gratification and validation. Due to the weakness in the mind, the person always has to lift the heaviest he or she can in every workout. The person is always trying to do a personal record in a lift, a skill or a movement every time he or she trains. What we would also consider ego training is what is entirely subject to external standards (repetitions, weight, time or distance) and has nothing to do with your internal feeling. The problem is that ego training will lead to joint problems and structural imbalances. Moreover, after the initial gains, the person will hit a plateau and barely make any progress after that. In fact, we don't even consider ego training proper training. We call it "skill training" which we touched deeply in this blog article. Real progress is made when you train step by step with patience. Almost every time the lighter weight or the easier movement is the best one for this - you actually need to look weak in training to get strong in the future. You can try your personal records every now and then but not in every workout and not even every week. Once or twice a month is already plenty. The best athletes whether it's gymnastics, powerlifting or weightlifting often only perform personal record performances in the competition a couple of time per year. Ego training is like an MMA fight. If you always go hard, you will get hurt and dramatically reduce your longevity and lifespan in the sport. The fight is the performance test (the personal record) and these happen only a couple of times per year. Another problem with ego training is that you will primarily get good at the task you are performing. If you always go heavy and hard, you will get good at the thing you are practicing but you are not getting significantly better outside of it. When we do strength training, we want the results to drip to every aspect of our life and every physical activity we want to participate in. This is the goal of all of our training programs. The reason why progressive weight lifting, progressive calisthenics, gymnastics, powerlifting, bodybuilding and almost every other type of training fails to develop universal strength is that their target is in the wrong place. The reference for progress for most sports and training styles is the sport or style itself. NOT health, posture and performance. People track their progress based on how well they improve in the lifts or skills of their chosen craft. Health isn't even considered. If it's considered, only the minimal amount is done so the person can continue progressing in the craft. For example, mobility training is only seen as a secondary form of training you do on the side when in reality it should be a priority. Moreover, what a lot of people fail to understand is that a bad posture and structural imbalances can actually make you better at the chosen sport. 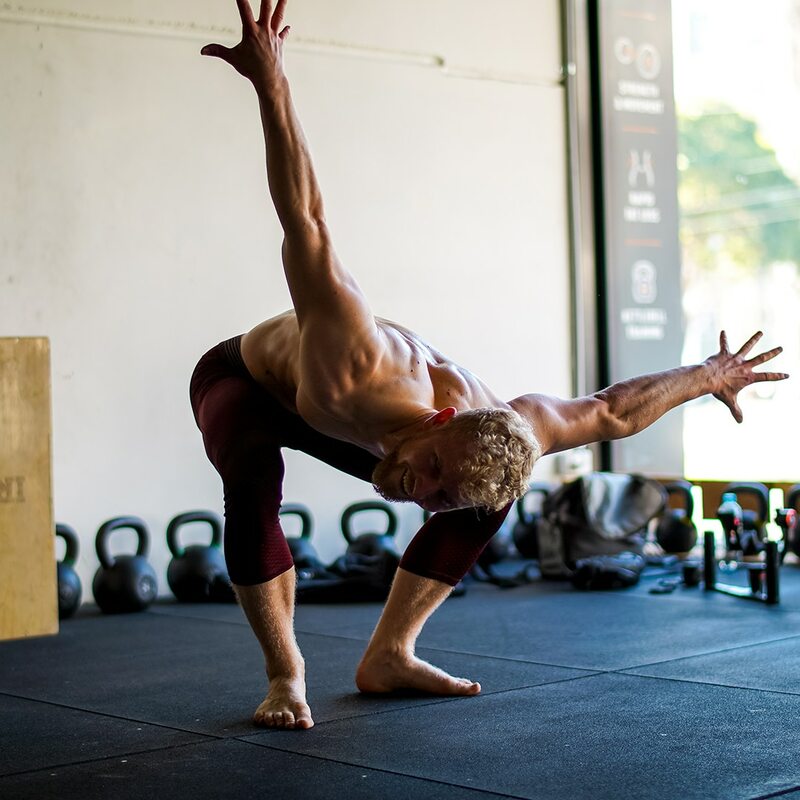 A bad hunched over posture that many gymnasts and powerlifters have actually makes many of their movements easier to do. The problem is that this bad posture is unhealthy and makes the person worse in other sports/arts where that type of posture is not an advantage. It also negatively affects daily life and physical health. Without drugs, steroid injections and surgeries many of these athletes wouldn't even be able to progress very far because the body strives for equilibrium and naturally prevents the body from going off the line. Only by using external substances and external means you can force your body to progress despite going in "the wrong direction". This is because a bad posture will lead to a deficiency in natural hormone production. A natural body would also try to prevent developing further dysfunctionality. For the elite athletes, forcing their body into a very specific niche can be financially worth it but should a regular person sacrifice his health and posture for something that gives almost nothing back? Furthermore, a lot of people are drawn to the gimmicks and harmful styles because of lack of confidence and insecurity. They believe that when they reach the X level or the skill, they feel good about themselves. We tried this and it doesn't work. You won't feel good about yourself and the finish line just keeps running away. In fact, we never felt worse than when we were desperately trying to prove ourselves. Just like there exists bigorexia in bodybuilding where massive bodybuilders still think they are too small, there exists strengthorexia and skillorexia in fitness, sports and the world of martial arts. The reason why our training programs lead to the best results in health, posture and universal performance (strength that transfer to all physical activities - we are not just getting good at training) is quite simple. Our references for progress are health, posture and performance. Not just training. It's that simple. We track our training progress by observing our health - has our sense of well-being improved? Do we have more energy? Like stated before, ego training is not bad but the skill or the heavy lift should NEVER be more important than your health, posture and overall physical ability. We also look closely whether our posture has improved or not. This is actually a very precious talent that most people don't have - it takes keen eyes and years of experience to spot and see structural imbalances. Lastly, we actually test our abilities outside of our training. If you read our story here, you see that we have tried almost everything and continue trying out new things. In 1 year in Australia alone, we spent thousands of dollars and hundreds of hours learning different ballroom dances, ballet, tai chi, qigong, pilates, yoga, MMA, running and more. Trying out new things. Always. When you have a well-rounded physique that has been properly built, you can join a ballet class and the teacher won't believe that this is the first time you are doing ballet. How is this possible? All human movements consist of the same meta-qualities and joint articulations. When you are strong everywhere, you can learn anything without limitations. Other practitioners of other training styles never do this - they never step outside of their bubble because their ego can't take it. A lot of people have invested years of blood and sweat into their lifts and skills so they can consider themselves strong and capable. If they did try something different, it would (and will) destroy their ego and the sense of (false) superiority. You see, you can be good at powerlifting or street workout and still be broken in 10 different places. You can keep progressing even when you are structurally imbalanced and have severe joint problems. When you try something truly athletic and versatile, every muscle in your body needs to be strong. You can deadlift with broken knees but try doing any martial art, dance or sport with broken joints. ​Learn how to train for mobility. 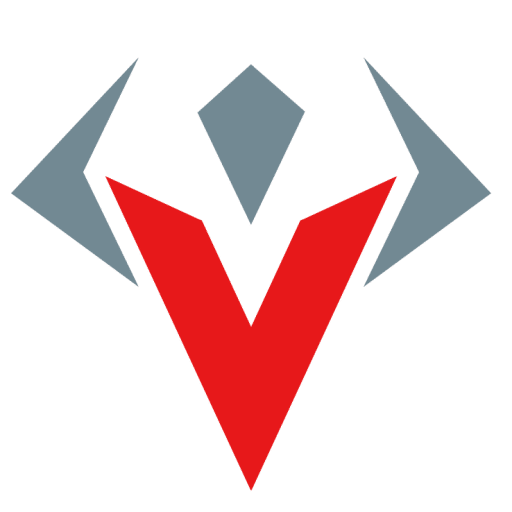 VAHVA Fitness is about making a real positive impact in the world by providing training tools, education and inspiration for people to transform their lives. We are hosting a FREE Mobility Class! In depth online video class on how to build mobility, eliminate pain and build high-level performance - next class is starting today! 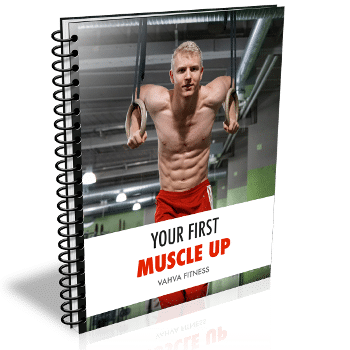 Enter your email below to subscribe to our mailing list and get access to your free muscle up guide. No spam or any gimmicks. We value your privacy.